The Leonardo Art/Science Evening Rendezvous (LASER) is a national program of evening gatherings that bring artists, scientists, and scholars together for informal presentations and conversations. The February 10 event will include presentations by four UC Santa Cruz faculty—Lewis Watts ("Black Presence in France—‘Paris Noir’),” Noah Wardrip-Fruin (“Expanding Fiction's Possibilities"), Deanna Shemek (“Fast-Forward Renaissance: the Science of Preserving Cultural Heritage”), and Colleen Reichmuth ("Exploring the Inner Worlds of Marine Mammals"). Lewis Watts is an emeritus professor of art at UC Santa Cruz. A photographer, curator, and archivist, he examines the cultural landscape of African American communities. 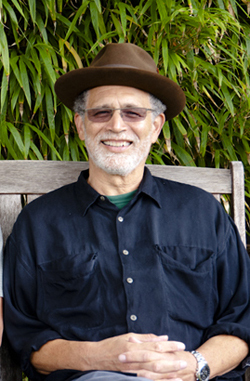 Watts is also the author of Harlem of the West: The San Francisco Fillmore Jazz Era (2006), and his work has appeared in numerous exhibitions and publications. 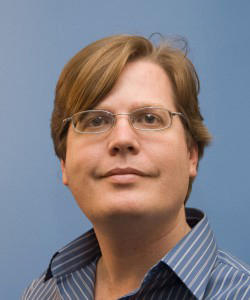 Noah Wardrip-Fruin is an associate professor of computer science at UC Santa Cruz and co-director of the Expressive Intelligence Studio, one of the world's largest technical research groups focused on games. He also directs the Playable Media group in UCSC's Digital Arts and New Media program. "Storytelling is one of the key ways that we understand ourselves and the world,” he added. “New forms of computational media are providing powerful new possibilities for storytelling, including ones that deeply respond to the audience. At UC Santa Cruz we are world leaders in combining arts and technology research to invent the storytelling media of the future." Deanna Shemek is a professor of literature at UC Santa Cruz. 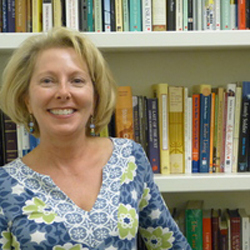 Her research and teaching centers on Renaissance studies and focuses on the crossroads between literary, historical, art historical, and political materials. Shemek has recently embarked on a digital humanities project aimed at preservation and creative study of the European Renaissance. 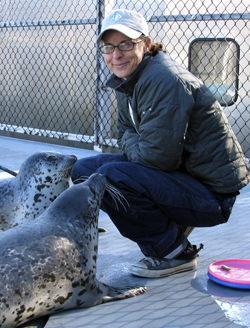 Colleen Reichmuth heads the Pinniped Cognition and Sensory Systems Laboratory, based at UC Santa Cruz's Long Marine Lab, where resident seals, sea lions and sea otters are trained for participation in studies about how these amphibious marine mammals acquire and process information. Trained primarily as an animal behaviorist, she conducts research in the areas of comparative cognition, bioacoustics, and behavioral ecology. Reichmuth has extensive experience with laboratory and field methods addressing how animals produce, perceive, and are affected by sound, as well as expertise in operant studies of discrimination learning and emergent behavior. She also mentors graduate and undergraduate students conducting research in the areas of animal learning and sensory biology. The presentations begin at 7 p.m. in the Digital Arts Research Center building (DARC--Room 108). Admission is free and open to the public.